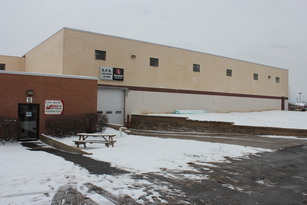 12 Pixley Industrial PKWY is conveniently located in Gates NY, just off 490 allowing for easy access from just about anywhere! Located at 12 Pixley Industrial Pkwy in the Maguire Properties building, our new state of the art facility occupies almost 9,000 sf of space and utilizes door number 5, 6, and 7. This new facility has increased our shop space by over 40% and our new customer lounge is one of the largest most comfortable automotive repair shop waiting rooms in Rochester. We now have 10 bays including a Hunter Alignment rack, detailing bays, and top of the line Bosch diagnostic equipment capable of Diagnosing most domestic, Asian, and European lines. 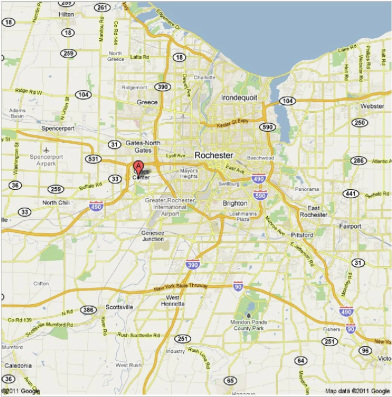 We are excited to offer our customers one of the nicest most comfortable waiting rooms which we believe you will find more comfortable than any other repair shop's in Rochester. Offering free WiFi service, Keurig Coffee, Shop Viewing Window, Flat Screen with Cable TV, Children's toys, and room to relax while waiting for your vehicle to be serviced. With 10 bays including a Hunter Alignment rack and detailing bays, our new show is designed for efficiency giving our skilled technicians the room and design they need, to consistently service your vehicle day in and day out!